In the first sign of undeniable Advent progress, we have finished the first six-pack column of the Bricks Wine Advent Calendar crate and are heading into the second. Hard to believe that Advent is already 25% over, apart from living 12 posts from 4 different people over the last 6 days and thinking about repeating that pattern 3 more times. The folks who compiled this calendar obviously have a love of the classics, as the first week of half-bottles, apart from the inaugural Canadian-sparkling-Gamay curveball and the glorious interlude into Austrian Gruner on Day 3, has been like reading the chapter titles of a Top Wines of the World textbook: Brunello, Beaujolais Cru, Marlborough Sauvignon Blanc, Burgundy. And if you look for the regional chapter title for pink wine, you will probably end up in Provence. 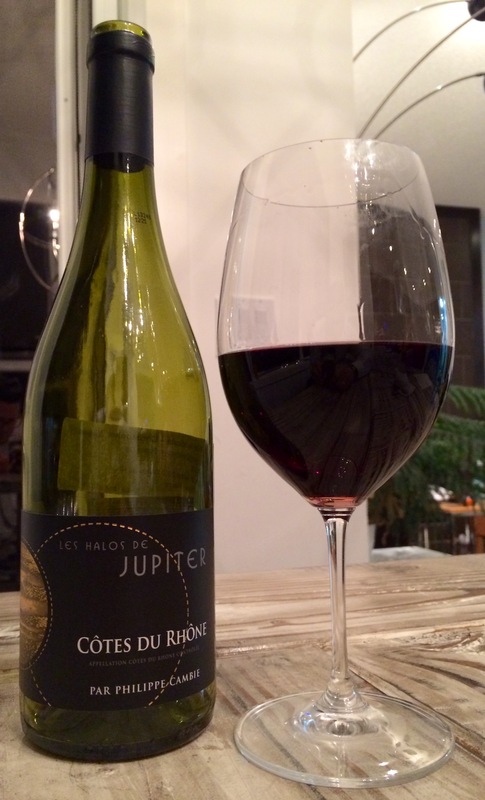 And if you end up in Provence, there is a greater likelihood you will find this wine than any other. Whispering Angel is a behemoth. The Chateau d’Esclans estate was struggling when Bordelais Sacha Lichine bought it in 2006, inheriting vineyards in disrepair but featuring 80-90 year-old Grenache vines and a production with no market presence. Lichine, looking out on the sunny French Riviera from his estate, identified a gap in the market: heavy, sweeter white-Zinfandel-style rosé could not quench your beachfront thirst on a scorching day. He conceived of rosé as a serious wine, made clean and light and dry, meant to disappear at resorts and in backyards with the drinkers scarcely noticing, pausing only to reach for the next bottle. Whispering Angel, released the following vintage, went from 13,000 cases to over 375,000 cases of production within a decade. If you’re counting at home, that’s 4.6 MILLION BOTTLES of the current 2016 vintage, sourced from a full 500 hectares of grapes from d’Esclans estate fruit as well as a swath of neighbouring vineyards. To understand just how much of a thing it now is, you can now buy Whispering Angel gummy bears…that is, you could until they all sold out. Whispering Angel has its formula down cold: a blend of Grenache, Rolle (a.k.a. Vermentino – a white grape) and Cinsault, crushed and briefly macerated at very cool temperatures to prevent oxidation and preserve fresh flavours, fermented in stainless steel tanks and served icy cold, ideally on a yacht. It succeeds, and continues to pull in critical acclaim despite becoming its own commercial empire, because the formula works: it is both tremendously refreshing and carefully unobtrusive, thirst-quenching yet generally unmemorable. It is a super pale farmed-salmon colour in the glass and delivers up citric aromas of lemon pulp, pink grapefruit and unripe peach, dusted with ginger and an herbal greenness like basil or chives and overlaid with a chalky minerality. Its lithe, svelte body brings a splash of bracing freshness, like new snow, and ghostly notes of strawberry, tangerine, copper and lemon-lime, finishing tart thanks to straight lines of potent acidity. It executes its mission to perfection and has spawned a thousand imitators, but for me the rosé category has lost a bit of its sense of interest as a result. I’m having myself a bit of a tasting month here. A week after sitting down to some incredible 50, 51 and 52 year old Taylor Fladgate Ports, I was treated to one of the most memorable experiences of my wine life: a chance to taste through the individual varietal component wines of the unparalleled Chateau de Beaucastel with proprietor Thomas Perrin, the first time such a tasting had ever been held in Alberta. Beaucastel is the legendary estate of Chateauneuf-du-Pape, the top region in France’s Southern Rhone Valley and the first area declared to be an Appellation d’Origine Controllee (AOC – now Appellation d’Origine Protegee, or AOP) in 1936, known for producing rich, dense and complex reds and whites of remarkable quality and longevity. The Perrin family has owned Beaucastel for over 100 years, having purchased it shortly after most of the vineyards were ravaged by the phylloxera louse and just before the scourge of World War I. Two wars, 100 hectares and five generations later, Thomas Perrin and his family members carry on the legacy of the Chateau and the Perrin name. Beaucastel’s winemaking philosophy was created and entrenched largely by Thomas’ grandfather Jacques Perrin, whose name graces the estate’s top wine, Hommage a Jacques Perrin, released only in top years. The elder Perrin converted the entire estate to organic viticulture back in 1962, when almost nobody would even have known what that meant and the prevailing wisdom pushed hard the opposite way, toward the increased use of vineyard chemicals and pesticides. Chateauneuf-du-Pape permits the use of an astounding 13 different grape varietals, 14 if you count the white version of Grenache (reds – Grenache, Syrah, Mourvedre, Cinsault, Counoise, Terret Noir, Muscardin, Vaccarese; whites – Grenache Blanc, Roussanne, Clairette, Picpoul, Bourboulenc, Picardin), which is way more than your standard high-end rigid French appellation; Beaucastel makes a special point of using them all, white and red, in every vintage of its CNDP release. They plant, harvest, vinify and mature each varietal separately, as each has a different growth curve and ripeness window, but in all cases they aim to tell the harmonious story of grape, soil, climate and region, of terroir, in their wines. 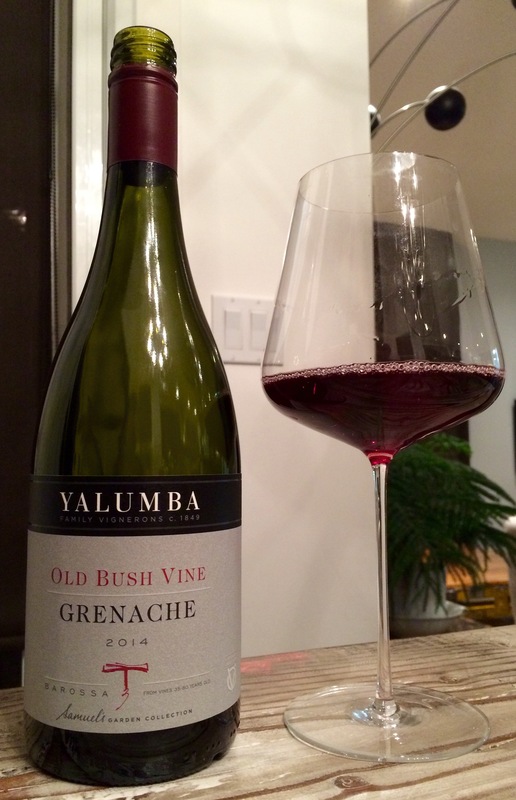 Raise a glass to Grenache! This is a bottle of eager-to-ripen Grenache from the scorching Barossa Valley in Australia. This is a delicate, pretty, dainty, almost ethereal wine. These sentences are both somehow true. Happy International Grenache Day, everyone! Yes, the third Friday of every September is set aside to celebrate the wonders of a grape that is prominent on the world wine scene, yet still strangely underrated, often anonymously doing the heavy lifting in a Rhone-style blend and only occasionally stepping out into the spotlight on its own. This is my second time toasting the grape in September: I revelled in the glory of the Okanagan’s first ever Grenache back in 2013. I appear to have missed this global vinous holiday last year, but am now fully prepared to make up for lost time.